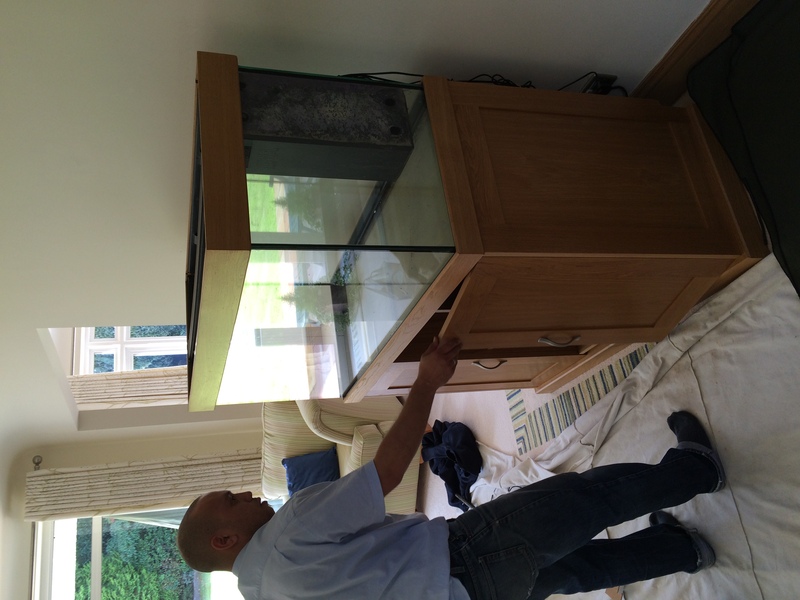 This customer contacted us wanting us to refill her aquarium after it had sat empty in her living room for 18 months !! 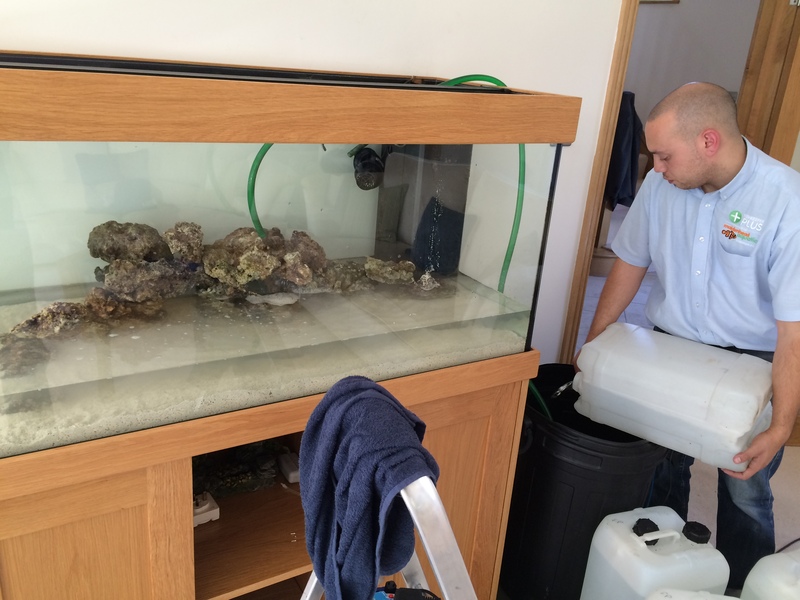 We cleaned the tank down and assessed the equipment needs. 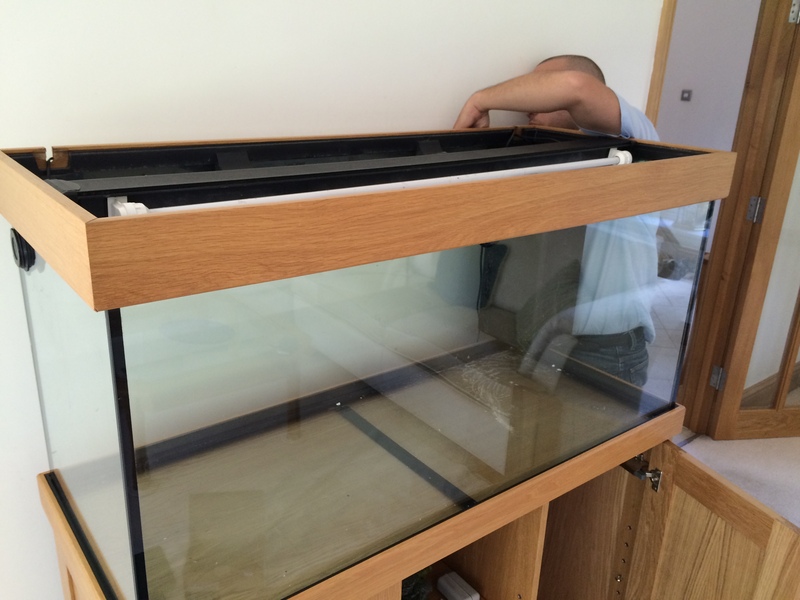 We then discussed the options with the customer and she decided that she would love to give keeping Marine fish a go but was nervous about how difficult it was. Safe in the knowledge that we would be alongside her all the way she decided to convert the tank into a Marine set up. We are visiting the customer again soon to see her first livestock additions that we hear are doing great ! !